Knee injuries are commonplace these days it seems. People go off to enjoy a winter vacation and come back with an injured knee. I’ve heard many stories like these, especially after I started fix-knee-pain.com two years ago. Thanks to modern medicine, these knee injuries will be dealt with professionally, right? Wrong! In 2009, I had a chance to witness first-hand to how insanely hard it can be to come back from a knee injury when my brother tore his meniscus. Here are the three major truths I learned back then. You won’t see it coming and it’ll be over before you even know what happened. My brother didn’t injure his knee in a game. It happened during the warm-up! I couldn’t believe it at first, but then I remembered how I once suffered a serious ankle sprain during a warm-up because I landed on a ball. Injuries can happen to anyone, at any place, and any time. It’s scary when you think about it. I was in for another shock. The first medical professional my brother consulted suggested a total meniscus removal. Fortunately, we went for a second opinion, because it turns out his meniscus could be repaired! There’s a huge difference in terms of quality of life between having a meniscus and not having one. Without a meniscus, you can mostly forget playing sports. You have a higher risk of arthritis, and will have knee issues for the rest of your life. At the age of 23, that’s a long time, during which you’ll likely also pay higher health insurance premiums, all because of one unnecessary medical procedure. In the years after the accident, I started looking into how injuries like these can be prevented, because after all, if it happens to him it could just as well happen to me. I read books, used online research libraries, and went to seminars about joint health. That’s when it occurred to me. The average person doesn’t know any of this, doctors don’t know most of this, and even if you start looking, it’s hard to find information that you can actually apply in your own life. On this website, I offer you two options to learn more about knee health. I decided to compile everything I’ve discovered about knee health into one resource so that you can easily learn about facts your doctor didn’t tell you, how you can prevent costly injuries, and how to get your knees as healthy as possible. 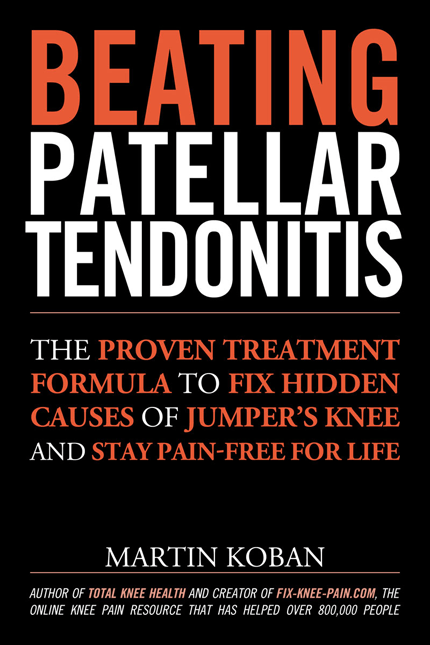 The book investigates every important requirement for knee health and sheds light on many commonly ignored topics such as diet and breathing. 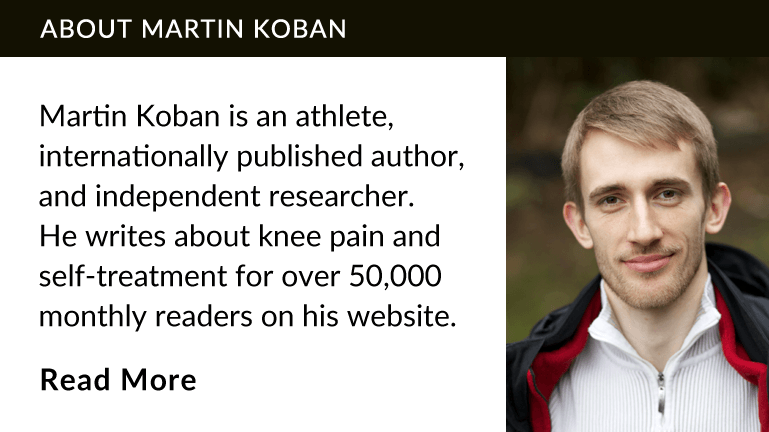 The second option to learn more about knee health is my free email series on the most common causes for knee pain. I strongly suggest you pick one of these resources and start learning more about knee health today.